Following up on the first of several public budget hearings, Hamilton County Commission President Greg Hartmann says he doesn't foresee wage increases for county workers. "In our administrator's recommended budget there is discussion about giving raises to employees. As much as I would like to sit here today and say we can do that, I don't think it's consistent with where we are as a county and where this budget is," he says. The county is facing a $20 million shortfall and employees haven't had raises in five years. 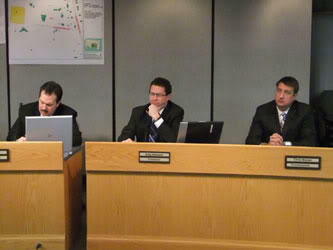 Fellow Commissioner Todd Portune, however, isn't ruling the idea out. He says he's still formulating his budget ideas. He says one possibility would be giving department heads - many of whom requested raises for their staffs - wage increasing authority so long as they can find the money to do so in their allotted budgets. 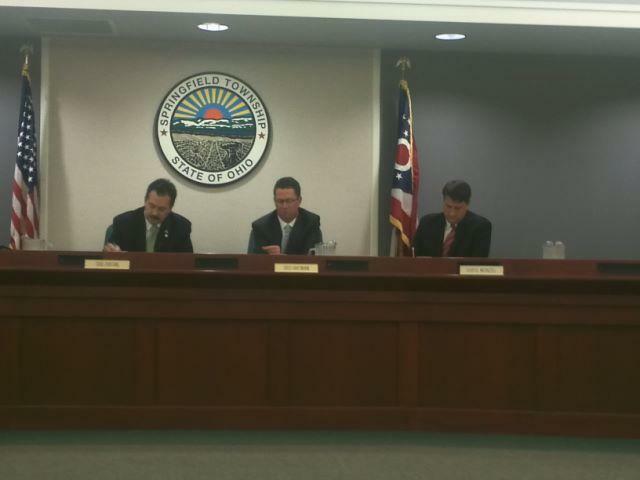 Hamilton County Commissioners held their first public budget hearing last night but the refrain was nothing new. Could budget cuts affect public safety? 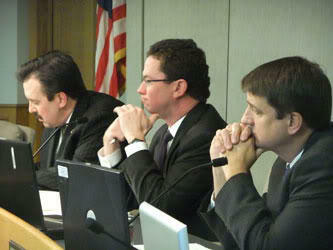 Hamilton County Commissioners are still looking for ways to balance the 2013 budget without raising taxes. Hamilton County's Administrator today presented Commissioners three possible budgets for next year but it sounds like they'll be choosing Option number four.